Existing home sales rose 7.7% in August. Condominium and co-op sales rose 1.8%; single-family home sales rose 8.5%. The median existing home price declined to $168,300, from $174,000 in July. Existing home sales in the West region saw the biggest gains, up 18.3% month over month. New home sales declined 2.3% in August; the median price was $209,100. The overall inventory of unsold homes fell 3.0%; the supply dipped to 8.5 months from 9.5 months in July. Housing starts overall declined 5.0% compared with July, but the number of building permits issued rose 3.2%. Mortgage applications increased 0.6% during the week ending September 16; the average rate for a 30-year conforming loan was unchanged at 4.29%. U.S. existing home sales jumped 7.7% to a 5.03 million-unit rate in August and a five-month high, the National Association of Realtors (NAR) reported on September 21. That was much stronger than the 4.67 million rate in July and the 4.75 million consensus expectation that Standard & Poor’s had reported. The inventory of unsold homes fell 3.0% to 3.577 million units in August, while the months’ supply dipped to 8.5 months from 9.5 months in July. Prices, however, dropped. The median home price fell to $168,300 in August, from $174,000 in July. On an annual basis, prices declined 5.1%. Existing condominium and co-op sales were up 1.8% in August, and single-family home sales rose 8.5%. First-time home buyers accounted for 32% of sales in August, the same number as in July. Cash transactions were also unchanged on a month-to-month basis, at 29% of sales. Home sales in the West region saw the biggest gains, up 18.3% month over month—after a 12.6% decline in July—and up 20.6% from the same period one year earlier. In the Northeast, sales were up 2.7% from July levels and 10% on an annual basis, although prices were 5.1% lower than in 2010. The same trend was evident in other regions as well. Midwest sales were up 3.8% on a monthly basis and 26.7% compared with a year earlier, but prices were down 3.5% since August 2010. In the South, sales were up 5.4% and 16.9%, respectively, while prices fell by 0.8%. Overall, distressed sales rose to 31% of total sales in August from 29% in June. New home sales dropped for the fourth month in a row in August. 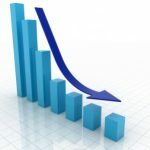 Sales were down 2.3% from July’s level, to a seasonally adjusted annual rate of 295,000 homes, according to a September 26 U.S. Census Bureau report. On an annual basis, prices were up 6.1%. The median price of new houses sold was $209,100, while the average price was $246,000. The inventory of new homes for sale amounted to 162,000 at the end of August, which represents a 6.6-month supply. The U.S. Commerce Department reported that housing starts in August amounted to a seasonally adjusted annual rate of 571,000 homes—a decline of 5.0% from July and a drop of 5.8% compared with August 2010. However, the number of building permits in August was 3.2% above the July rate and 7.8% higher than one year earlier. On September 20th, S&P Indices and Experian released August data for the S&P/Experian Consumer Credit Default Indices, which measure changes in consumer credit defaults. The indices showed first and second mortgage default rates remained almost flat, with the first mortgage rate moving down from 1.93% in July to 1.92% in August and the second mortgage rate up from 1.25% to 1.27%. The first mortgage index showed default rates at their lowest in four years. The second mortgage index was close to its lowest level in five years (July’s rate was the lowest). First mortgage default rates peaked in May 2009 at 5.67%; second mortgage default rates had peaked two months earlier at 4.66%. 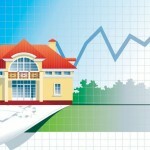 Mortgage applications increased 0.6% during the week ending September 16, 2011, according to the Mortgage Bankers Association. The refinance share of mortgage activity rose to 78.3% of total applications, from 76.8% a week earlier. Adjustable-rate mortgage activity decreased to 6.7%, from 7.3% of all applications the previous week. The average interest rate for conforming 30-year fixed-rate mortgages was unchanged at 4.29%, while the average rate on 15-year fixed-rated home loans fell to 3.56% from 3.52%. The Federal Reserve announced it will adjust its $2.65 trillion portfolio of fixed-income securities in an effort to drive down interest rates for long-term borrowers in general and mortgage holders in particular, according to The Wall Street Journal. The Fed plans to sell $400 billion in Treasuries that mature within three years and reinvest the proceeds into those maturing in 6 to 30 years. It will also reinvest proceeds from maturing mortgage-backed securities back into other mortgage-backed securities. Prior to the announcement, the Fed was focused on reducing its mortgage portfolio. Call me for a personal tour of any Scottsdale homes for sale.